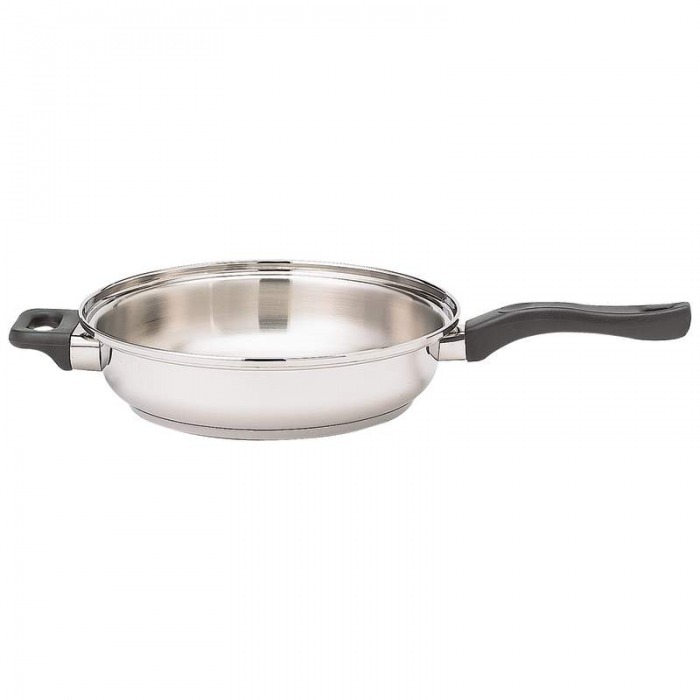 Our HLJKT915 9-element 304 Surgical Stainless Steel Waterless Cookware Set is just one more of the amazing sets which are the result of over 55 years of experience in manufacturing stainless steel cookware. That's saying that the manufacturer of this set has been manufacturing stainless steel cookware since 1950. Like all of our sets, this set also comes with a *Limited Lifetime Warranty. The nine elements which make up this set, in addition to 304 surgical stainless steel, are iron, copper, chrome, nickel, manganese, silicon, aluminum, molybdenum, and vanadium. You can use the steamer rack to steam cook your vegetables by using the stockpot. To do this, you would place the meat you are going to prepare in the stockpot, for example, a large roast. Once the roast has started cooking, place the steam rack on the rim of the stockpot, then place your vegetables on the rack. Cover the entire pot with the large dome cover. The vegetables will be steam cooked by the steam rising from the roast as it cooks in the bottom of the pot. Because of the construction, each unit contains a powerful heat transmitting property which allows for fast and even heat distribution. 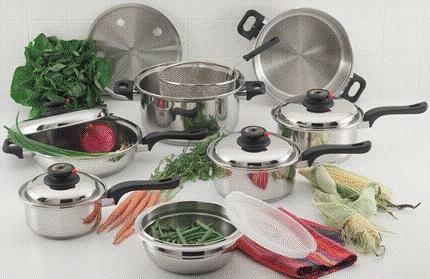 You will never be bothered with "hot spots" with this set of cookware. 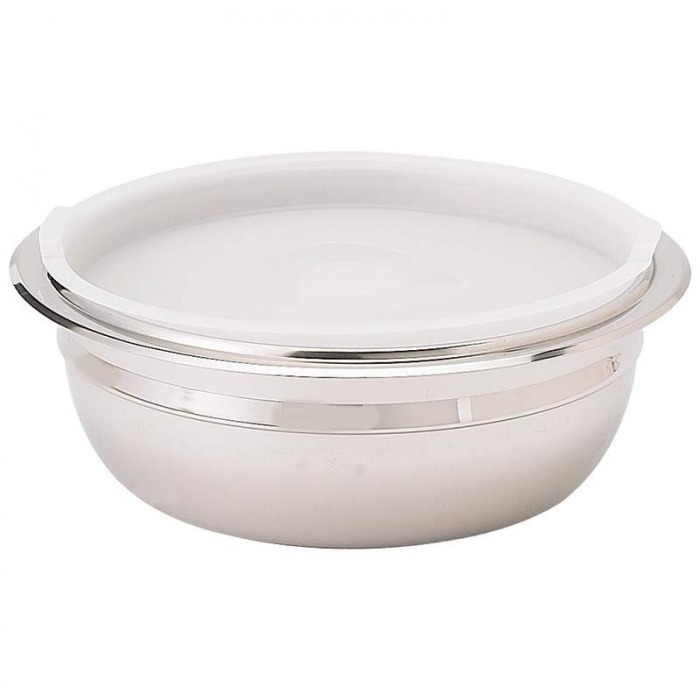 Surgical stainless steel prevents the growth of bacteria because of its pore-free surface. 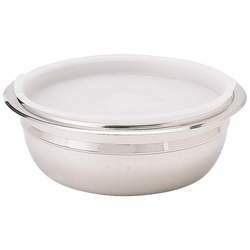 Hospitals use surgical stainless steel utensils because it's easier to keep sterile. 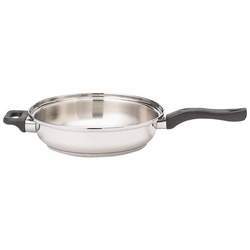 Plus, being pore-free, you'll never worry about tiny bits of the metal that your cookware is constructed of chipping off in your foods. Part of the corrosion resistance of 304 surgical stainless steel is due to an invisible, passive oxide film that forms on the metal's surface once it's exposed to air. This set has a steam release valve on each lid. 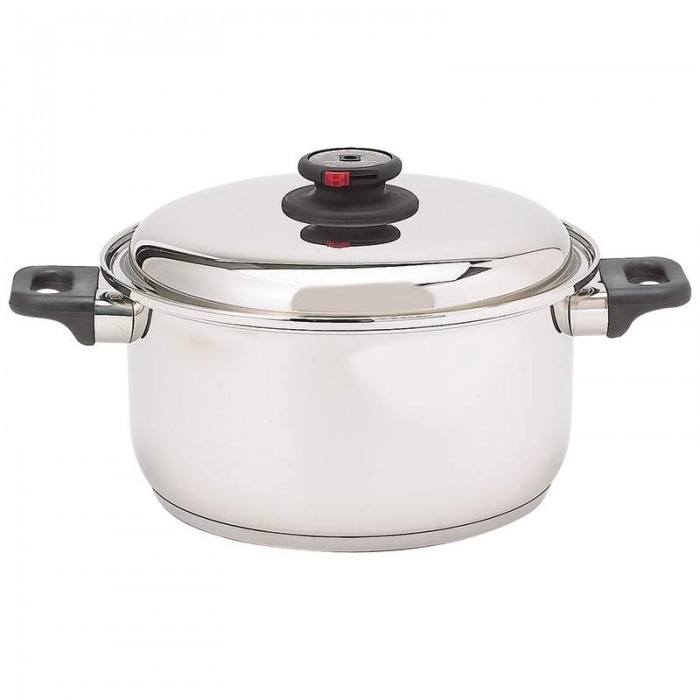 To use the steam control valve, start cooking on medium heat, remember that you should never use high heat with 304 surgical stainless steel cookware. The reason for this is that the material heats up much quicker and holds the heat longer than other cookware. When steam is vigorously escaping from the valve, turn the heat down, wait a moment or two, and close the vent. Then you can turn the heat to low and finish cooking the food. 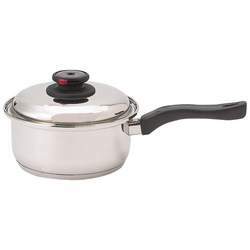 During the cooking process, to know if you are using the correct temperature and that the food inside the utensil is cooking correctly, the lid of the pot should spin freely during cooking. If the lid feels 'locked' onto the pot, then the temperature is too low. On the other hand, if the lid is 'bouncing' and a lot of steam is escaping from around the lid, then your temperature is too high. The phenolic handles are superbly styled. They're resistant to heat, cold, and detergents. The handles were tested for durability in ovens up to 350 degrees, however, the manufacturer does not recommend placing the pots in an oven as they were made to be used on a stove-top. 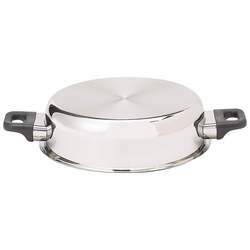 After all, why would want to turn your oven on when you can bake your food in this cookware right on top of your stove? 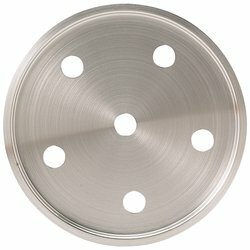 Each handle is molded with a very large eyelet that will permit hanging the utensils, a convenient feature which will save you lots of cabinet space. 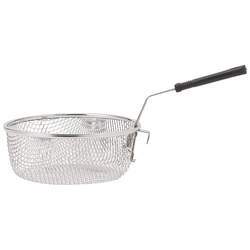 You can simply invert the cover, nest it in the proper pan and hang or stack your cookware. The set comes with the same five basic pots as our other two sets. However, there is a slight difference in the other pieces. This set has a mixing bowl which can also be used as a double boiler insert in place of an actual pot which serves as a double-boiler unit in the other two sets. Also, unlike the other sets, the HLJKT915 does not come with the egg cups and holder, but this set does come with a deep-fry basket or strainer.